Welcome to week 2 of my ‘getting to know’ feature where I introduce you to some of the amazing wedding suppliers I come across in my travels up and down the country as an Irish wedding singer. 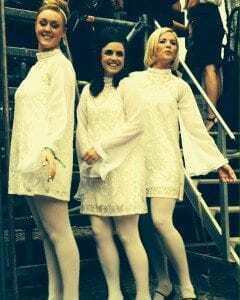 Over the course of this series I’ll be featuring some of Ireland’s best wedding bands and first up is The Dionnes Motown Tribute band. This band in my opinion are in a league of their own in that they authentically showcase all that is synonymous with the 60’s Motown era including the unique musical and fashion style of the period. I caught up with manager and lead singer Fiona Browne, who gives me the lowdown on this fab band! Can you give me a little background on The Dionnes? 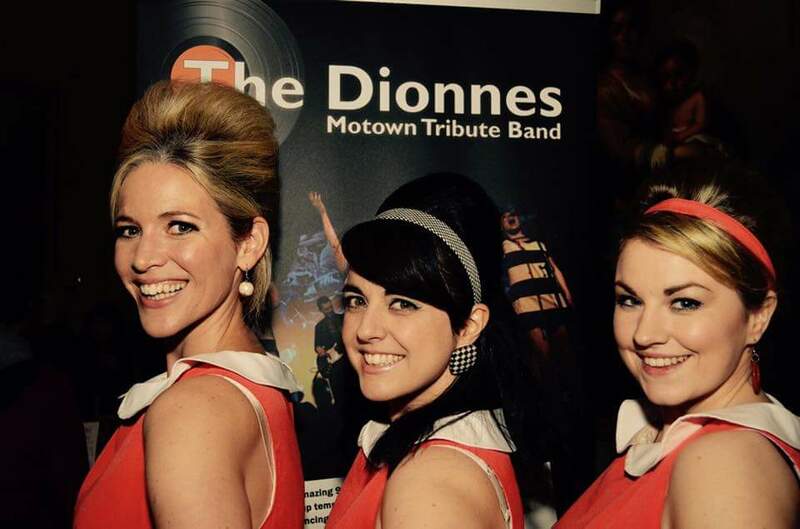 The Dionnes are a female fronted Motown wedding and party band. We formed in late 2012, as my husband James grew up listening to Motown and always wanted to play those Jamerson bass lines! 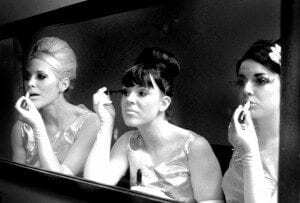 I also loved the music, and as an actress I could also see real potential for theatricality and fun with having 3 girls on stage showcasing the style, the moves, the hair and the harmonies of the Motown era. We got together with pianist Carl Banks to try out some tunes. Carl enlisted guitarist Tony Fay and we evolved from there. Today we have up to 9 people on stage at any one time if you include our brass section, and the energy and the craic is just fantastic. The audience really feed off it too! What makes The Dionnes different from the average wedding band? Our presentation and attention to detail. It’s there in our harmonies, our choreography & our vintage costumes. We’re a Motown and Soul band but we’ve also added contemporary music by the likes of Bruno Mars, Beyonce & Cee-Lo Green to our set and given them our own unique Motown twist. That has worked so well for us – and it means that we appeal to all age groups. Additionally, because there’s a ‘theatrical’ aspect to what we do including costume changes and choreographed dancing, people can just sit back and enjoy the performance if they can’t, or don’t want to dance. There literally is something for everyone in what we do; and that’s the appeal of it for wedding couples and corporate companies who really want their guests to party. What makes a good wedding & party band? Simply knowing what works in your set. We used to include lesser known Northern Soul hits that we loved but – but that the crowd didn’t know so well. Now we keep it to the more popular up-tempo numbers and our set is a really great mix of 60’s tunes from the likes of The Supremes, Stevie Wonder and Ike & Tina Turner ; as well as some of the more contemporary tunes from the artists I’ve mentioned above. The great thing about Soul and Motown is that it unites generations on the dancefloor, the grannies, aunties and uncles are bopping away with the younger folk because everyone knows and loves the songs. We often get older people coming up to us after a gig telling us that it was the first time they’ve danced at a wedding in years. What’s one of your most requested first dance songs? It’s a draw between ‘Say a Little Prayer‘ and ‘The Sweetest Feeling‘. Recently we did ‘For Once in My Life‘ by Stevie Wonder and I thought that worked really well. Any funny moments you’d like to share? How do couples go about seeing and booking The Dionnes? Clonskeagh, The Stillorgan Orchard and The Raheny Inn. We always suggest that couples come see us live to get a real feel for what we do. Alternatively, some couples like to see us perform at a wedding specifically, so we’ll try to arrange that where we can. Enquiries can be emailed directly to us at [email protected]. Any tips or advice for couples looking to book their band / wedding music? I would absolutely advise that you see your band live if you can before you book. If you are living overseas send a family member along, there’s no substitute for seeing a band live. Also make sure the band you see is the band you get. Some bands will send out multiple line ups on the same night, however they just can’t compare with a genuine band that rehearse and play together regularly. Who are the wedding suppliers you recommend?